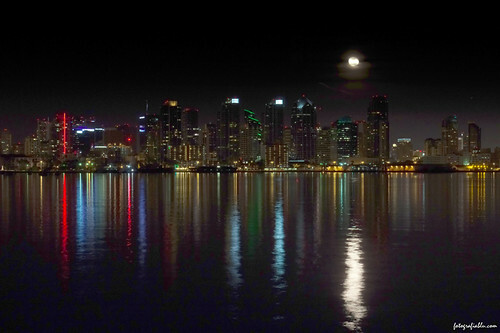 Moon Over San Diego, originally uploaded by truublooo*. The moon dims by a thin veil of clouds as she rises from behind the buildings of downtown. She is indeed the harshest of mistress.